In a rant posted on his Facebook page, Daniel Berhane, a die-hard Ethiopian regime cadre living in Addis Ababa, says Egypt has successfully stopped all international funding for the controversial Renaissance Dam. The dam, which is 30% complete, is expected to be completed by 2017. But intensified protests from Egypt over the last few weeks have brought construction to a screeching halt, leaving many Ethiopians to question if the billions of dollars already put into the project was in vain. 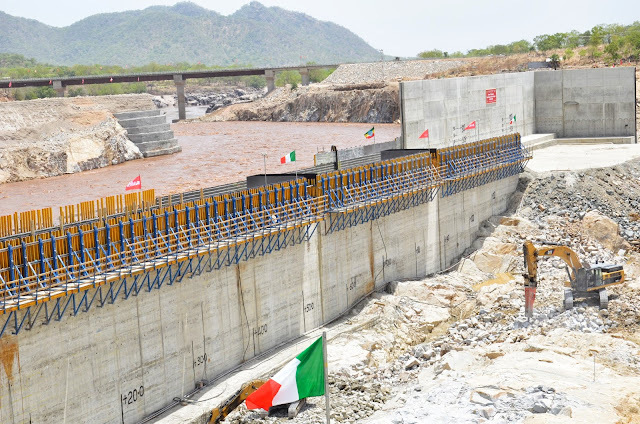 Half a dozen foreign sources informed in the past three weeks that the Egyptians are on full throttle attack on Ethiopia's Renaissance dam. I know I am supposed to make this a "breaking news" or write an article, thereby drive readers to Horn Affairs. F*** that. This ain't an ordinary matter. Again, I know I am supposed to cross-check before delivering this kind of story. I did! Plus, I know the best way to avert a tragedy is informing the people. However - I feel compelled to tell you that - if my sources are accurate: China has already suspended the 1 billion dollar she pledged for the Renaissance dam power transmission line. Again, at-least two of my foreign contacts told me that western donors have agreed that Ethiopia will not use the aid/loan money - even as a foreign currency - for the finance of the Renaissance dam. Some of the foreigners - who are not traditionally pro Ethiopian - were very clear at telling me that our diplomatic officials hardly raise the Renaissance dam during their conversation. I believe this is the time, we, citizens, take matters to our hands and launch a full-scale counter attack on Egypt. Please trust me! I would not be telling you if I was not convinced. I have become doubtful EPRDF can finish the dam. Please contact - in anyway you can - and tell the Americans, the Brits, the Chinese, etc. that we won't forgive them if they backstab us this time.